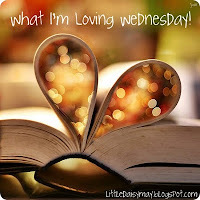 Here's what I'm loving this Wednesday. 1. I'm loving . . . that we celebrated Christmas with both sides of our family this past weekend. 2. I'm loving . . . that even though I have eaten like crap for the last week, it doesn't appear as if I've gained any weight! 3. I'm loving . . . Kanin only has a couple more days of school until he is out for Christmas break. 4. I'm loving . . . that we have our plans made for Christmas Eve and Christmas Day. 5. I'm loving . . . these pictures of my monsters. Wonderful photos. Everyone looks so happy! Maybe I'll add What I'm Lovin' to my 2012 new memes list. Have a great day April!